Scot McKnight, Sermon on the Mount. 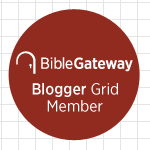 The Story of God Bible Commentary. Grand Rapids: Zondervan, 2013. ISBN 978-0-310-32713-4. Pp. 300. $29.99. 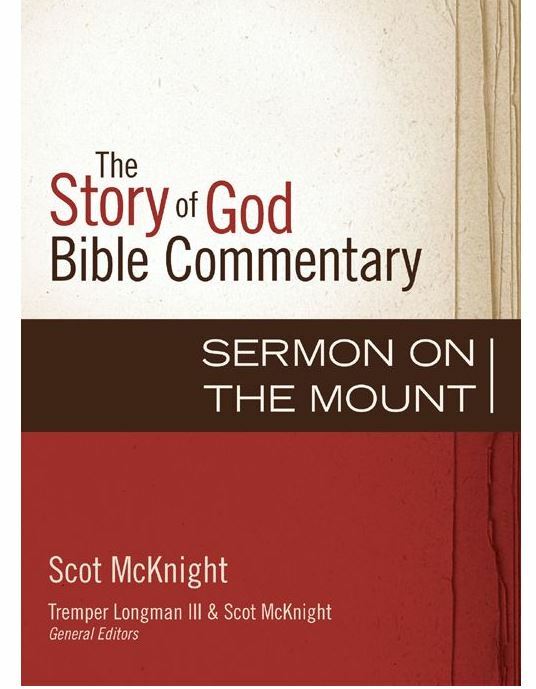 My friend and colleague Scot McKnight has written a new book, Sermon on the Mount. The book is the first volume in The Story of God Bible Commentary. When completed, the series will have 22 volumes in the Old Testament and 21 volumes in the New Testament. Tremper Longman III is the general editor for the commentaries on the Old Testament and McKnight is the general editor for the commentaries on the New Testament. The authors of the commentaries in this series are committed evangelicals representing the diversity of the evangelical world. As the title indicates, the aim of this series is to present God’s story, a story that finds fulfillment in Jesus “as the Messiah, Lord, and Savior of all.” The content of the story includes “creation and fall, covenant and redemption, law and prophets, and especially God’s charge to humans as his image-bearers to rule under God” (p. xiii). According to the introduction to the series, the theme of the “Kingdom of God” will guide the writers as they study each book of the Bible. In order to better tell God’s story, each passage of the Bible will be studied under three sections. Listen to the Story. In this section of the commentary, the authors will challenge the readers to listen to what the text is saying. 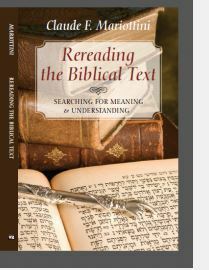 In introducing the text to be studied, the authors will select other biblical passages that shed light on the text to be discussed. For example, in his introduction to the Sermon on the Mount, Matthew 5:1-2, McKnight asks the readers to read Matthew 4:23-25; 9:35; 17:1-8; John 6:3; Exodus 19:3; 24:12; 34:1-2; Deuteronomy 9:9; 10:3. The purpose of these extra texts is to help the reader to read the text in Matthew in light of the Bible’s grand story. Explain the Story. In this section of the commentary, the authors explain the text under study in light of God’s story as presented in the whole Bible. In this section the authors will deal with historical, cultural, sociological, and theological issues that may shed light on the text under consideration. For instance, in his study of the beatitudes, McKnight uses the theology of the books of Deuteronomy and Isaiah to clarify the meaning of the beatitudes. Live the Story. In this section of the commentary, the authors will apply the biblical text to the community of faith. “The intent of The Story of God Bible Commentary series is to probe how this text might be lived out today as that story continues to march on in the life of the church” (p. xiv). The aim of the writers is not just to apply the teachings of the text to individual lives. Rather, the writers will use the grand story of God in the Bible to challenge the readers to live in the world in such a way that their own story harmonizes with God’s grand story. The goal of this series is to make the message of the Bible relevant to the church in the twenty-first century. As society becomes more and more secular and God’s story becomes less and less known in the world and in the church, the writers of these commentaries have taken upon themselves the task of communicating God’s story in such a way that it will challenge the church to listen to what God is trying to communicate to the world today. McKnight’s commentary of the Sermon on the Mount accomplishes the intent of this series. His commentary on the sayings of Jesus presents the true intent of Jesus’ teaching to his disciples and to the church as a whole. One of the most important sections of this commentary is McKnight’s study of the ethics of Jesus. He begins his study comparing Jesus’ teachings to other ethical theories. McKnight gives a brief introduction to the ethical views of Aristotle, Immanuel Kant, and John Stuart Mill. McKnight’s conclusion is that Jesus’ teaching does not fit with any of the theories developed by these thinkers. Ethics from Above is ethics based on the Torah, the law of Moses. Jesus’ teaching is based on the teachings of Moses, primarily on the revelation of the divine law on Mount Sinai. McKnight says that while Jesus speaks for God, he also speaks “as the voice of God” (p. 8). Ethics from Below is ethics based on wisdom literature. The wise men of Israel taught their disciples how to live their lives in the world according to God’s way. To live in God’s way people had to be attentive to the teachings of the wise. According to McKnight, Jesus also taught his disciples how to live in the world by discovering God’s purpose for the world and then living according to that purpose. McKnight says that Messianic Ethics is a combination of Ethics from Above, Beyond, and Below. Jesus’ ethic is unique because it is based on his conviction that in him the Messianic hope of Israel found fulfillment. Thus, Jesus teachings cannot be divorced from the messianic conviction that his work and his teaching was the fulfillment of the Torah, the prophets, and wisdom of the sages. It is this understanding of Jesus’ ethics that guides McKnight in his interpretation of the teachings of Jesus found in the Sermon on the Mount. Following the outline established for the series, McKnight divides the biblical text into 23 chapters in which he invites the reader to listen to the story before he explains it and applies it to the life of the community of faith. The result is a commentary that can be used for preaching and teaching. It is also a commentary that can be used for personal Bible study. McKnight avoids technical language. His commentary is easy to read and his discussion is easy to follow. I enjoyed reading this book. His explanation of the story and his application of the story to the life of the church will challenge the reader to be faithful to God’s story as they live their own story in the world. McKnight’s book is a good addition to any library. If you buy and read this book I can assure you that you will not be disappointed. 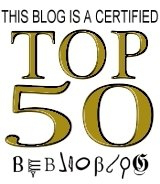 This entry was posted in Book Reviews, Jesus, Jesus Christ and tagged Book Review, Jesus, Scot McKnight, Sermon on the Mount. Bookmark the permalink.